Whisk the egg yolks in a small bowl until lemon yellow in color. Add heavy cream to a separate bowl. In a small saucepan, heat sugar, milk and salt until hot stirring occasionally to incorporate the sugar. With a large spoon, drizzle a small amount of the heated liquid into the egg yolks, stirring constantly. Immediately add the egg yolks back into the saucepan and heat, without boiling, until the mixture thickens. Pour the mixture into the heavy cream and mix well. Whisk in the olive oil and place in the refrigerator overnight. 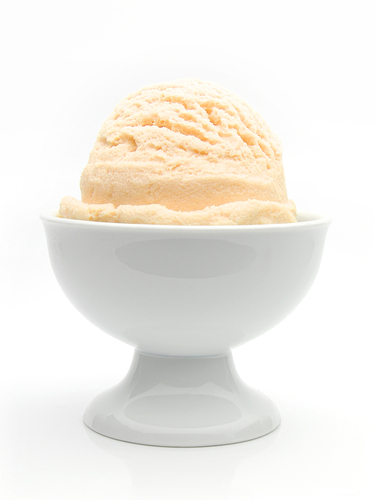 The next day, whisk the mixture again before pouring into an ice cream maker. Follow the manufacturer’s directions for freezing ice cream. Nutritional Benefits: Monounsaturated Fats, Whole Milk, Omega 3 Fatty Acids.